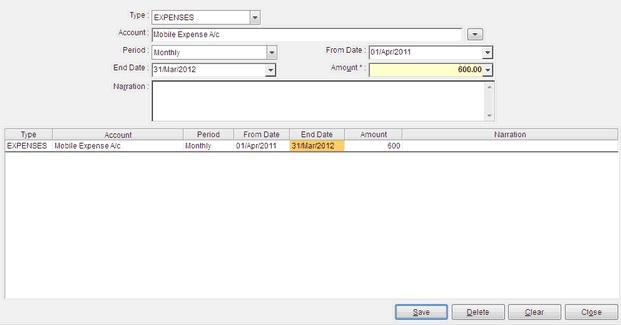 You can add budget details of all the income and expense in this module. First select type of budget then select account from list,specify period ,from date, to date, amount of budget etc . Type Select type of budget like Income,Expense. Period Select type of period like, Daily, Weekly, Monthly etc. To Date Budget end date. Remarks Enter remark about budget.